Delta Dental of Colorado Foundation is dedicated to helping more people be healthy. 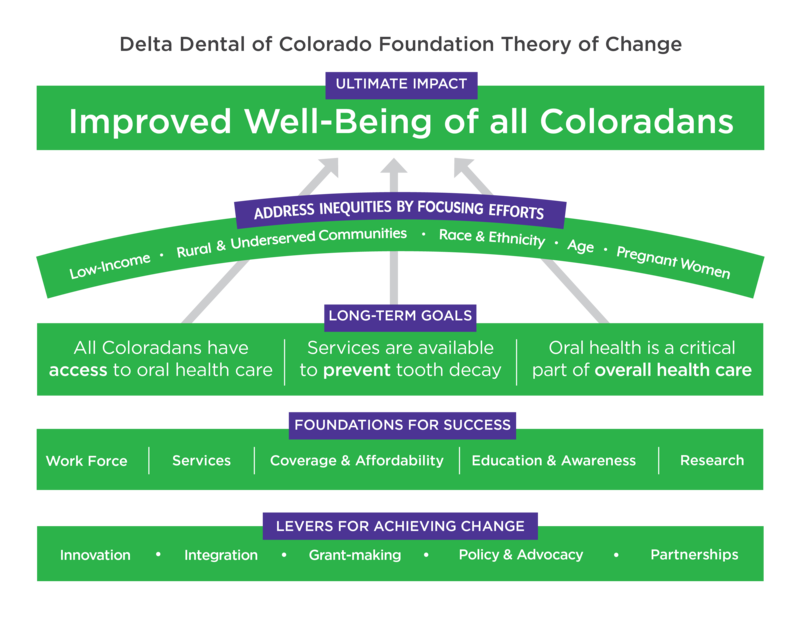 Our commitment is clear in our mission: to elevate the well-being of all Coloradans by advancing oral health equity. Through listening and partnering, we are working to identify how to achieve oral health equity across our state. Our journey shifts often and requires curiosity about the dental care needs and priorities of all Coloradans. Since dental disease is almost 100 percent preventable, we believe understanding the specific needs of each community will create a healthier Colorado. Oral health impacts Coloradans of all ages and, at a broader level, the well-being of our communities. Through listening and partnering, we foster an ongoing dialogue to identify and test oral health solutions. We believe partners will draw our attention to unique approaches to move towards oral health equity. Read our Theory of Change to learn more. In 2017, the foundation contributed $3.23 million in funding to support innovative programs that improve oral health and overall well-being. Access our GuideStar profile or review our form 990. Learn more about how oral health programs are reaching Colorado communities in our Annual Report.